These Tips are a Must Follow for Beginner Vapers! Buying from an accredited US manufacturer and supplier assures you of quality and purity. Although Chinese-manufactured e-liquids are considerably cheaper, the ingredients used are questionable and not of the best grade. You are assured, however, that what you are buying is food-grade ingredients and medical-grade nicotine when you buy original US-manufactured e-juice. Finding the right flavor can improve your vaping experience and taste significantly. However, you may have to try several different flavors before settling on one. Most manufacturers and suppliers provide an e-juice sample box which you can use to determine your most preferred flavors. You can either pick the sample box from an online store or physical stores near you. Consider using Pyrex or glass tanks especially when using cinnamon or citrus flavored e-liquids. Some of these flavors cause fogging and even weaken plastic tanks causing them to break, reasons you should avoid them when you can. Consider steeping your bottle of e-liquid for a few weeks after you get it or if the flavor seems muted. Most eliquids require some steep time, especially coffee and tobacco flavors to bring out all the notes in the flavor profile. Let the bottle sit in a dark cupboard and shake several times within the 2 weeks to ensure the flavors marry. Most e-liquids tend to lose flavor if stored in well-lit places for too long or may take on a darkened color. If the color is visibly darker or has a funny taste throw it out. E-liquids, like everything else, goes bad if it sits too long. This is especially important for vapers who want a richer vaping experience, smoother hit, and thicker vapor. For some people, e-liquids with a low vegetable glycerin (VG) concentration works just fine such as the 70PG/30VG that is common for most vape shops. Although higher VG concentrations produce a richer, thicker vapor, they also have a tendency to clog some atomizers. Low VG concentrations, on the other hand, provide a more vibrant flavor which most vapers prefer. However, some people are more sensitive to PG (propylene glycol) meaning that it makes them cough and irritates the throat. If this is true in your case, opt for a 50PG/50VG blend or 60VG/40PG until the coughing stops. There are times when e-liquid will find its way into the battery connections reducing the atomizers efficiency. Wiping the e-liquid off the terminals, however, helps restore its performance. Simply unscrew the battery, check for dirt, and then wipe it off with a soft cloth or cotton swab. Clean the threads too to ensure it screws back firmly. Cleaning the e-liquid tank before each refill is always a good idea. It helps prevent lousy flavor, buildup and e-liquid leakage. To clean the cartridge, disassemble the e-cig then pour out the excess liquid. Rinse the tank, mouthpiece, and atomizer with warm running water. This also ensures two flavors don’t mix when refilling the cartridge. The atomizer has a coil that heats up to vaporize the e-liquid when you press the power button. These coils can get dirty from e-liquid residue which can affect its performance and vapor quality. This is especially true of darker e-liquids with a higher VG content. Consider replacing the coil regularly (about every 4-6 weeks) to ensure your vaping experience doesn’t take a dip. The batteries for your vape mods also need proper care. Check to ensure the wraps aren’t torn or damaged. Any damaged cells should be replaced immediately. Experts recommend inspecting your batteries at least once a month. Doing this helps avoid harsh burnt or dry hits after changing the atomizer coil. The best method is to drip one or two drops of e-liquid down the center of the coil and on the side intake holes of the atomizer coil. Some atomizer coils will have two or three holes where you will see cotton. Put a little e-liquid on them and then replace the coil and fill your tank. Take a few short pulls without pressing the fire button to pull the e-liquid into the coil to ensure even saturation. Many people expect electronic cigarettes or mods to provide the same experience and satisfaction as traditional cigarettes. 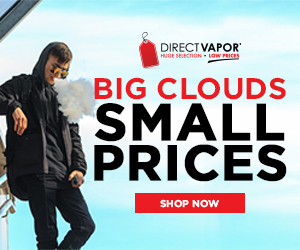 While e-cigs produce a similar effect, they are different from tobacco cigarettes.They are considered a safer alternative to tobacco and provide you with a wide range of flavors for your vaping enjoyment. Vape pens and mods have removable parts that can be replaced any time without necessarily having to buy a new mod. Upon identifying the appropriate mod, consider purchasing additional or spare equipment for the same. A new compatible cartridge, atomizer, battery, and etc. are good examples of extra equipment you should have for your vape pen and mod. You could also invest in several different e-juice flavors for variety such as a bakery flavor to go with your morning coffee or dessert flavor for an after-dinner vape. This helps to keep you from getting burned out from the same flavor day in and day out. While cartridges come in different capacities, you still need to know how long yours lasts before going dry. Vape pens like the JUUL come with 4 pods (cartridges) and replacements packs come with 4 as well. This however means vaping for at least one month to determine when you should consider a refill. Doing this gives you enough time to order a replacement online before the current one runs out. As with any type of electronic equipment, proper care of your vape pens and vape mods will ensure that they last as long as possible. Being careful when charging the batteries and filling the tanks ensure that you will not have to replace any vape gear any time soon. Unlike traditional cigarettes, vape pens have a learning curve before one can fully get the most out of them. For instance, you take short, quick puffs on a cigarette. But for vaping you need to learn how to take slow, gentle, and long draws to experience the difference. Just a little practice is all you need to get the hang of it. Vape pens run on internal batteries that can be recharged once the charge is depleted. Charging these batteries can take at least 45 minutes to an hour. Having an extra battery (device) to use while the other charges can save you time and frustration. If you prefer having several e-liquid flavors on hand, you then should consider having an extra tank or two. This is also recommended for tasting new flavors and to save time. It also eliminates the need to clean the tank each time you want to refill with a different flavor. While citrus or rum may be your favorite flavor, you should consider switching to a different contrasting flavor every once in a while. Sticking to one flavor all the time causes your tongue to lose the taste of the original flavor. Switching flavors every once in a while however reduces the risk of flavor burn out that most people experience weeks into vaping the same flavor. Consider drinking plenty of water to avoid dry mouth– this keeps your your taste buds hydrated as well. E-liquid drips or leaks may happen from time to time. This is often from laying your vape pen down flat where the e-liquid can leak out or having a small crack in your tank. If you notice e-liquid on your hands or clothing, inspect your vape for any leaks and wipe with an absorbent cloth to soak it up.